Notes: This lecture takes place in front of audience and Jimmy Lyons is talking and discussing about music and also playing together with an unknown drummer (Andrew Cyrille?). A possible location could be at the Antioch College were Jimmy Lyons and Cecil Taylor had lectures during two years at this period. Notes: The quartet also played together with about 15 unknown musicians, lineup possible similar to session No. 74-0312. Notes: The Group was called: Unit Core Ensemble. In Down Beat 74.02.28 (Vol.41, No.4 - pages 9 and 33) is an announcement that the Cecil Taylor concert was one part of total 15 concerts organized by the New York Jazz Repertory Company [including] the dates of the concerts. Notes: No recordings are known. Notes: This concert is on Youtube, 28 min. The Trio played at the Keystone Corner late 1974 in a two weeks engagement. The Trio played a 5 nights engagement. Notes: This date was recorded according to Karen Borca. Notes: The trio played two nights in the club (a reincarnation of Geno's Empty Foxhole) that operated in the basement of St. Mary´s Church. Ed Hazell lists a 40 minutes untitled improv. Show from Village Gate 75-0609. Notes: It is known that Jimmy Lyons did conduct his own 25 piece ensemble at Bennington College in 1975 and he was supposed to perform with Big Band later on the same year in NY. It is not clear if this concert is the Bennington or the NY concert. It sounds like a WKCR radio broadcast as there is an announcer. The concert is followed by questions from the students. Jimmy tells that he also practices on flute and clarinet. He also tells how much he has been influenced by Lester Young and about his playing with Cecil Taylor. Notes: Date 75-0110 is also given for this concert. 1 - 2. Radio broadcast. Probably from The Five Spot, NYC. Notes: The radio announcer is mentioning that Jimmy Lyons is working with a big band, 25 pieces, and that this big band will play later on in NYC. It is known that Jimmy Lyons did conduct his own 25 piece ensemble at Bennington College in 1975. 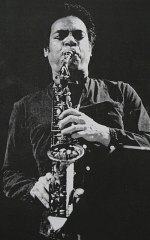 In 1978 he was awarded a CAPS grant for the orchestral composition written and performed at Bennington. (See session No. 780506). A WKCR memorial program took place in 1998 on a Sunday afternoon and Monday afternoon prior to the Monday night concert that reinterpreted Jimmy Lyons's 1975 orchestra work, "Something Is The Matter". Notes: Cecil Taylor packing them into The Five Spot for solid three weeks ! ...playing encores to get off the stand ! Taylor's first number tonight at The Five Spot was the first set, and it lasted almost an hour and twenty minutes. Notes: Private, audience recording, tape. Notes: Jemeel Moondoc plays with Jimmy Lyons at the end of the 1st set. According to Jemeel Moondoc, he and Jimmy played together alone for about 20 minutes when Cecil Taylor and Andrew Cyrille left the stage after the 1st set. Some sources claim that Jemeel Moondoc also plays with p + dr in 15:30 during 2nd set. Cecil Taylor Trio at the Five Spot, NYC, April 1975. From left to right: Cecil Taylor, Jimmy Lyons and Andrew Cyrille. Copyright & photograph by Fred W. McDarrah. 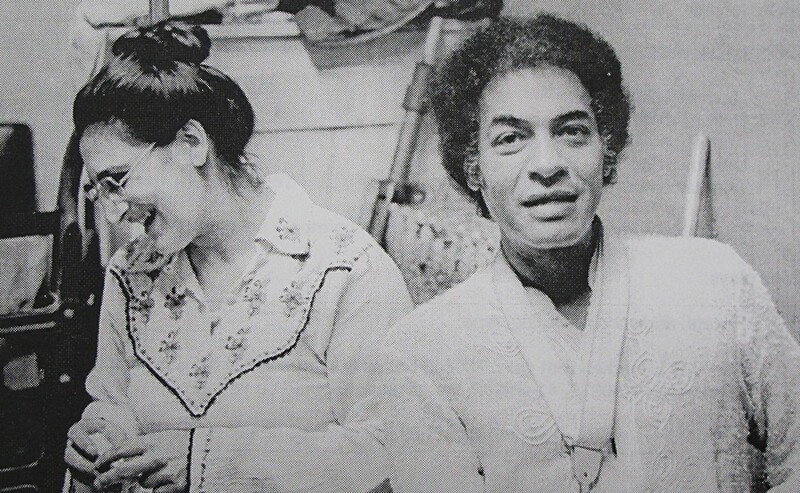 Jimmy Lyons and his long time musical associate and companion, bassoonist Karen Borca backstage at the Five spot, NYC, April 1975. Copyright & photograph by Val Wilmer ©. Notes: Lester Bowie played with the Trio on at least one occasion. (Bill Smith in Coda,August, 1975). "David Murray was there with his horn on several nights and may have played with Cecil Taylor too, although I never herd him do so". (Val Wilmer). 1 – 5. Private, audience recording, tape. Notes: The tape is marked with date: 750603 but as the structure is the same as for the session No. 75-0630, #1 and #2, the given date could be wrong. 1 – 2. WRVR radio broadcast. Notes: The date could be 75-0606. 1 – 3. Ayler Records, aylCD-037/038, "The Box Set"
WKCR-FM broadcast on a Jimmy Lyons Memorial Day, 960527. 1 – 2. Private, audience recording, tape. Notes: Also possible date: 750630. 1 – 2. Private tape. Notes: This was a three night engagement. This is probably recorded from a radio broadcast. Tape. Notes: The concert lasted for about one hour and thirty minutes. Notes: The date 75-0906 is also mentioned as a possible date. Notes: The trio's 3 weeks engagement at Ronnie Scott's did create a lot of feelings among the listeners. This was reflected by articles in "Melody Maker" in August, 1975. The concert was also radio broadcast. Notes: Info from Ed Hazell: "As I remember the concert, it began with a long, ritualistic poetry and dance section (the poetry took place in complete darkness) before the music began. This opening section is on the original tape and I think I must have decided to just copy the music portion of the concert. The sound is really bad as I remember it. Which is also why I probably decided that dubbing the poetry wasn't worth it. The music lasted for much longer, but the master tape only have the portions – the opening half hour – that I dubbed. Notes: Private Tape (audience recording) exists (according to Mike Hames). This is probably a recording from a radio broadcast. Notes: The concert was also partly broadcasted in Austrian TV. Bobby Zankel claims that Charles "Bobo" Shaw was the drummer. Notes: Ballet by Adrienne Kennedy. Choreography, staging and music by Cecil Taylor. Notes: No recording is found. Notes: No recording is known. The date 78-0314, for this session is also proposed. 1 - 4 released on Hi Hat CD (GB). This concert was broadcast by WCBN-FM / National Public Radio "Jazz Alive". Notes: - The broadcast ends with commentary by A.B. Spellman. This is the group that recorded 'Dark to Themselves' the same year. Notes: A tape (soundboard) exists. Notes: The complete concert is 61:45 and is on Enja CD 2084 2. According to Marc Edwards, a video recording was made. 1 – 3. Radio broadcast, tape. Notes: A tape exists and it's duration is about 70 minutes. Notes: A second part of #3 is supposed to be broadcast as well but has not been analysed. Date 760802-03 is also proposed. 1. Private, audience recording, tape. Notes: It is not known if the Nimes concert was taped. Notes: The concert is broadcast at 2 different occasions but given the same date and the same title. This indicates one performance which was broadcast in two parts. This recording could be the same as 77-0503. Notes: Date 760703 is also proposed. Notes: Marc Edwards is also mentioned as the drummer. Unknown location and type of recording. Notes: The date of this concert has been questioned. This sounds as it could be the same concert as 76-0714. Notes: Private tape (audience recording). Notes: Jimmy Lyons is not heard but he is supposed to be playing in the one and only short group ensemble passage. The date 77-0618 is also proposed. Notes: Exact concert date unknown, Hames mentioned only late Summer 1977. Private tape (audience recording) exists (according to Mike Hames). 1 – 6. Private recording, tape. Notes: The same group also played at the same place most probably in April and May 1978. Notes: New York Times has a review and refers to a Saturday in April 1978. Notes: Jimmy Lyons was at the concert rewarded "1978's Creative Artist's Public Service Grant in Music Composition". 1 – 3. Private, audience recording, tape. 1. Probably a radio recording. 1 – 3. Radio broadcast, Sudwestfunk Radio Jazz Concert, tape. Notes: The title #2 differs from what is given in session no. 78-0603A. This is from a SWF-Radio Jazzconcert. #2 seams to be an excerpts from title #2, session no. 78-0603A. 1 – 4. Radio broadcast. Tape. Notes: The date 78-0616 is also given. Notes: The radio broadcast has a total playing time of 153:57 minutes including announcements and with Jimmy Lyons playing 26:39 minutes, 18,8 %. Titles # 1.4 – 1. 5 are split up in two titles on the records. The LP releases give the date as June 4. 1. Ayler Records, aylCD-039, "The Box Set"
Notes: Radio broadcast WKCR-FM, "Jazz Alternatives". Notes: Both drummers played 2nd set only. A complete recording including both sets exists. Notes: No recordings from the concert are known. 1 – 2. Radio broadcast, WKCR-FM, tape. Notes: The concert was broadcast on 790326. The dates 790324-26 are also given for a WKCR-FM CT Festival. 1 – 7. Private, audience recording, tape. Notes: From photo by Jerry Kambitsis. 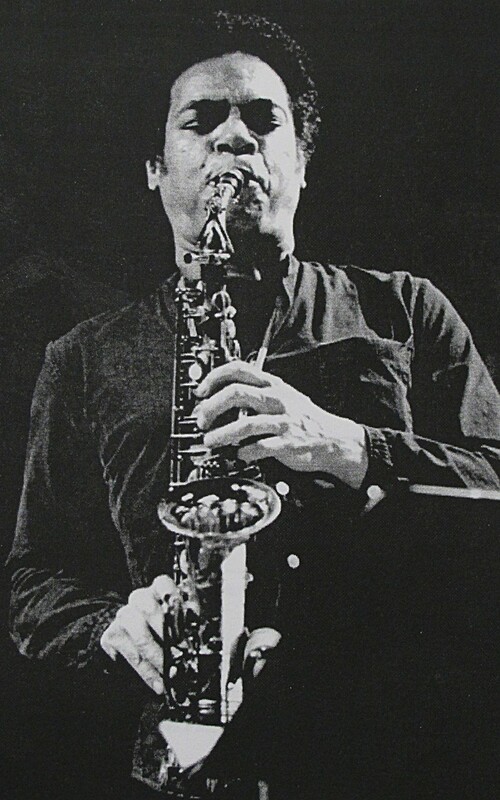 Dennis Gonzales: Jimmy Lyons played quite a few concerts with Cecil Taylor's Unit (with Ramsey Ameen, Alan Silva, and Jerome Cooper) before, during, and after the Cecil Taylor 1979/1980 (late December - early January) Winter Intensive Workshop at the Creative Music Studio in Woodstock, New York, where I studied with Jimmy Lyons). In fact, they played a concert on New Year's Eve/New Year's Day '79/'80, as well as played and conducted the Cecil Taylor Student Orchestra, along with sax quartets, string ensembles, percussion trios, of music and poetry written by Cecil Taylor. In the concert, Sunny Murray also played drums. A photo of Jimmy Lyons taken by photograph David Prentice is published in the Photo section. Notes: Date is said to be "early 80's"
Also discussed location is the Village Gate. Notes: The information about the date: "80-0208/09", indicates that the recording took place before and after midnight of the 8th. Notes: A private tape exists. 1 – 2 Private, audience recording. Notes: The LP has not #5, "Tortuga", included. Jay Oliver was the original bass player in the trio. Notes: Private recorded by "Ilario"
80-1217 Blues Alley, Washington. D.C.
80-1220 Blues Alley, Washington. D.C.
Notes: The date 80-1219 is also given. Tapes covering in totoal 139 minutes exists from this gig. 3 – 8. Black Saint 120 125-1, (LP), 120 125-2,(CD), "Something In Return". Notes: # 3 is recorded without audience and it must have been recorded after the concert to substitute the live recording, # 2, which has some faults and disturbances. No audience is audible for some of the other titles as well. 1 – 7. Ayler Records, aylCD-038, "The Box Set"
Notes: Date 81-0419 is also given. 1-2. Private recording from 81-0529. Notes: The group played a 75 minutes set on the 28th. Notes: Date 81-1107 is also given. A private audience incomplete recording also exists (61:36). 1 – 4. Radio broadcast, tape. Notes: This concert was TV broadcast, 40 minutes. Tapes covering in total 89 minutes exists from this gig. 2, 3, 7 – 9. are also known from a NPR radio broadcast. 10. This title was performed but is not on the tape and not analysed. Notes: The date 84-0700 is also mentioned. Notes: Private, audience recording tape. There is information that the quartet opened first on 811226 so, the given date could be wrong. CONTINUE IN SESSIONOGRAPHY PART 4.3.! Cecil Taylor, Jimmy Lyons and Andrew Cyrille. Photograph and Copyright by Fred W. McDarrah. Karen Borca and Jimmy Lyons backstage at the Five Spot, NYC, April 1975. Copytght and photograph by Val Wilmer. Jimmy Lyons at Great American Music Hall, San Francisco, 78-1117. Copyright and photograph by Brian McMillen.